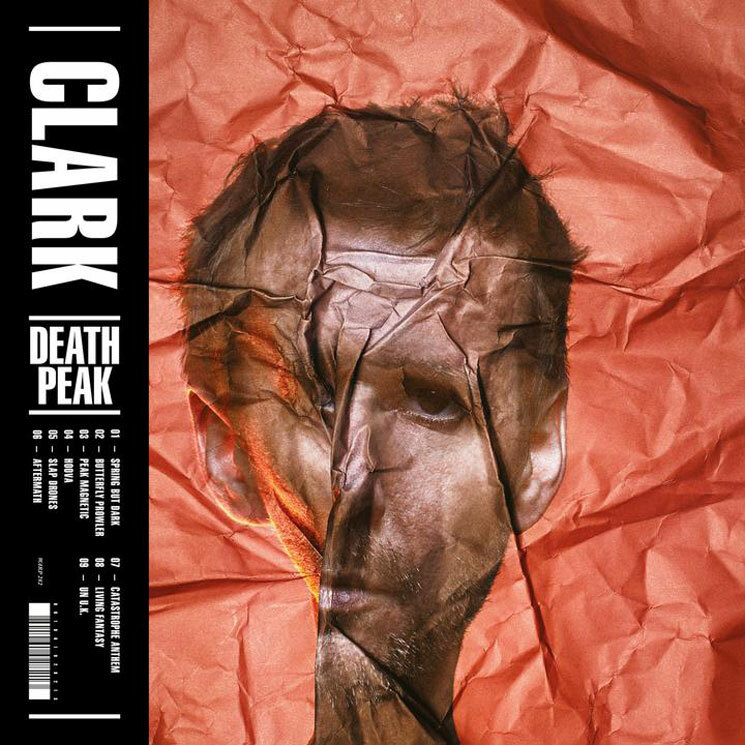 Clark is set to return with his Death Peak LP next month, and ahead of its arrival, he's shared another album cut in "Hoova." The track arrives through an interactive website, allowing users to crumple up Death Peak's album art with their scroll wheels, which also affects the song's dynamics. A press release describes the track as one that "plays out a crucial moment on the album," bridging Death Peak's "early, lighthearted accents" and "darker, more corrosive tones." "The trance riff on this hung suspended with no beat for ages," Clark explained in a statement. "It's sort of fashionable to do this at the moment, to avoid the hardest part of dance music, the actual drums. For me the drums are the hardest part to get right, and I couldn't resist the challenge, I thought 'stop being a wimp get some kicks underneath the beast.'" Death Peak will arrive through Warp on April 7. Play around with the interactive website and download "Hoova" here. As previously reported, Clark also has a big North American tour coming up with Com Truise, and you can see all the dates here.